Passionate pugilism from the talented team behind Hapkido, which shows director Huang Feng and his star choreographer Sammo Hung tackle another Korean discipline, taekwondo. The action in these early Golden Harvest chopsockies still looks glorious thanks to Sammo’s unique ability to create realistic, street-style combat rooted in both flair and authenticity. He is also masterful in adapting to his environment. A church-based brawl sees combatants flip and trip over church pews; another shows a sword-wielding group attack in a teahouse where the wooden furniture is used as both cover and punishment. These brawls are all based around Angela Mao (again), who seems like such a young and docile thing until she starts crushing windpipes under her plimsolled feet. She can even throw Sammo around like he’s nothing more than a garbage bag. Angela plays a Chinese immigrant living with her mother in Seoul, Korea, at the height of Japanese-occupied oppression. She becomes embroiled in a turbulent dispute between a Japanese Karate School with powerful links to military leaders in Manchuria, and a rebel alliance of both homegrown and western fighters. 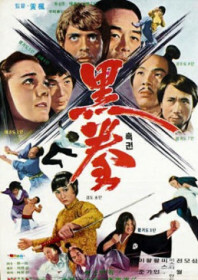 The Korean dissidents are led by Li Jundong, played with great energy by taekwondo legend Jhoon Rhee in his only film role. Having been born and raised in Japanese-occupied Korea, there is something quite compelling about Rhee’s performance. His violent protests conjure up similarities to the plight of the Chinese Ching Wu school in Golden Harvest’s Fist of Fury, starring Jhoon Rhee’s old sparring buddy, Bruce Lee. Interestingly, Huang Feng adds another martyr to the story in the form of a western Christian priest (played with a big fake beard by Golden Harvest distribution exec, Andre Morgan), who is tortured on a cross for protecting the victimised. It’s a clunky analogy but nevertheless his eventual demise at the hands of the Japanese fighters is seen as the final straw in the battle for humility and compassion, and from then on, it’s non-stop carnage. Ken Kazama from The Street Fighter fame and Hwang In-shik provide the muscle for the final bout, and although Angela Mao clinches the film on points, it is Jhoon Rhee who steps up to take the glory. AKA: Kickmaster; Sting of the Dragon Masters; When Tae Kwon Do Strikes. Thank you for sharing. What an incredibly tragic story.